“I just want the land. We have never discussed stopping the project. The project is the project, the land is the land. I’m not questioning the development agreement. 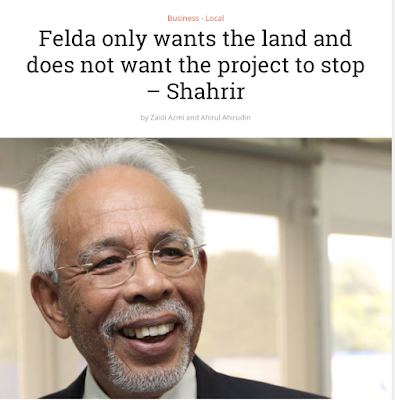 The development agreement is legitimate, FIC (Felda Invesment Corporation) had signed it, the (then) Felda chairman and the (then) Felda director-general had given the power of attorney in June 2014." - YB Shahrir Samad, Felda chairman in an interview with The Mole this morning, hours before the developer of the KL Vertical City (KLVC) project on the Felda's Jalan Semarak land returned the land titles to Felda.